The UK imports 327,000 tons of fresh fruits from South Africa each year, being the second most important source after Spain. In particular, a large proportion of the UK’s imports of grapefruit (32%), oranges (23%), ‘easy-peelers’ (18%), plums (25%), grapes (24%), apples (18%), pears (10%) and avocados (19%), come from South Africa. Yet it is a dry country, with only 450 mm average annual rainfall and agricultural irrigation accounts for more than 60% of the national water requirement. Irrigating fruit grown in South Africa for export to the UK consumes 84 million m3 of water each year – given average domestic water consumption in South Africa of 250 litres per person per day, this is equivalent to the water use of more than 800,000 people. The Western Cape province is a major producer of export fruits but is facing its worst drought in over a century. The delayed onset of winter rainfall in 2017, the high demand for water by cities, and the fact that the province’s water resources are still recovering from drought in 2015, have led the premier to declare a “drought disaster” in the province. Dam levels have reached critically low levels, with only 11% usable water as of the end of May. The City of Cape Town has responded by limiting residents to 100 litres of water per person per day. According to Alan Winde (Western Cape Agriculture Minister), current water restrictions for irrigation farmers vary from 30% to 100% in the Berg / Riviersonderend water system and these restrictions may have a serious impact on fruit production. 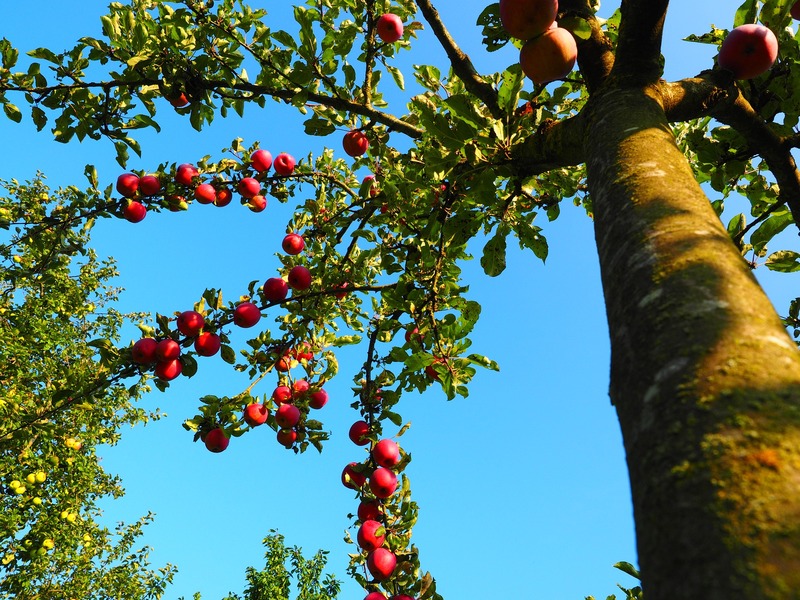 Lack of water can have a major effect on produce quantity and quality; poorly irrigated orchards usually result in reduced fruit yields and size, which may not meet the high quality requirements of the UK market. Consequently more fruit is exported to less discerning markets, and the UK may be forced to source fresh fruits from elsewhere to meet customer demand. This can increase the cost to the UK consumer and reduce the profitability of South African fruit farming. Climate variability patterns in the Western Cape suggest that drought intervals are getting closer, and that rainfall onset is getting delayed. This suggests that the recovery period between drought periods might be getting shorter and occurring at a slower pace, which in turn implies that the current water crisis is potentially a long-term rather than a short-term problem. Good water management is key to managing the scarce water resources and ensuring maintained or improved market access by water-scarce countries like South Africa, and many UK retailers are currently working with their supply chains, producers, packers and water managers in the Western Cape to mitigate the impact of water-related risks on fruit production. Recent rainfall has done little to alleviate the situation; sustained rainfall will be required during the current winter season and subsequent rainfall seasons. Given the generally high water use efficiency of fruit producers in the province, and the active engagement of government, catchment management agencies, water use associations and research institutions, the expectation is that fresh fruit production in the Western Cape will cope with the current drought. The effect on exports to the UK is therefore expected to be minimal. Despite this, the drought has served to remind us how not only the African fruit farmer, but also the UK food system, is vulnerable to extreme weather events in distant countries. The project, “Increasing resilience to water-related risks in the UK fresh fruit and vegetable system”, is funded through the Global Food Security’s ‘Resilience of the UK Food System Programme’, with support from BBSRC, ESRC, NERC and Scottish Government. Tim has a BSc in Geography and an MSc in Agricultural Engineering (Land Resource Management) and joined Cranfield University (Silsoe) as a Research Officer in 1981. In the early 1990s he represented Cranfield as Resident Scientist with the Centre for Arid Zone Studies, University of Maiduguri, Nigeria. During this time he completed his PhD on “The impact of climatic variability over the period 1961-1990 on the soil water balance of upland soils in the North East Arid Zone of Nigeria”. He is now an Associate Professor in Water Management within Cranfield University's Department of Environmental Science and Technology. He has over 30 years’ experience in research and consultancy in the application of hydrology in managed rural environments, and particularly irrigated agriculture in the UK and overseas. This has been applied to sustainable food supply chains, working with national and international organisations and major UK retailers. He is an interdisciplinary scientist with a particular interest in the application of ecosystem services approaches to water management issues.